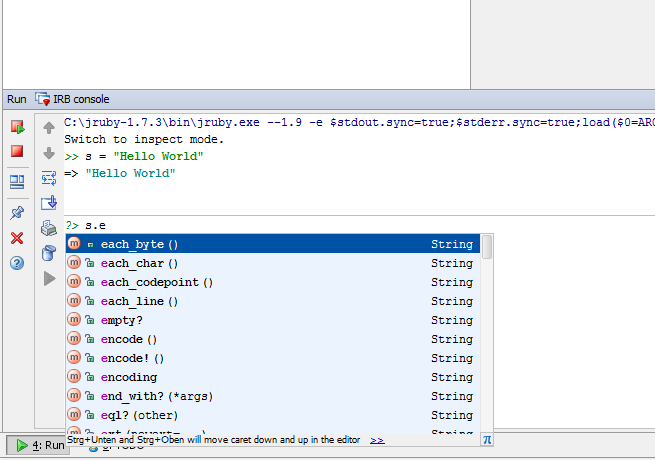 Code completion in RubyMine 5+ works differently from 4.5.4. Following test shows the differences: I installed both versions 5.4 and 4.5.4 (using jruby-1.7.3) and created a String. You can see from the screenshots, that the code completion list of RubyMine 5.4 IRB console does not contain the String instance methods like the 4.5.4 does (e.g. #each_byte). 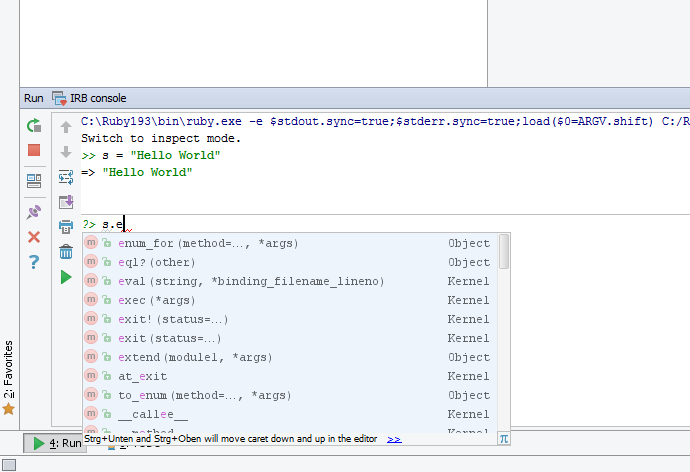 I do a lot of code experiments in IRB console and used the code completion dropdown of 4.5.4 a lot. What happened to it in 5+? Is there anybody, who can verify this? Sorry for the second screenshot. It's Ruby MRI. But it's the same with jruby.